HARRISBURG – The Senate Transportation Committee voted today to name a York County bridge in honor of a local Marine who was killed in the line of duty in Afghanistan in 2011. 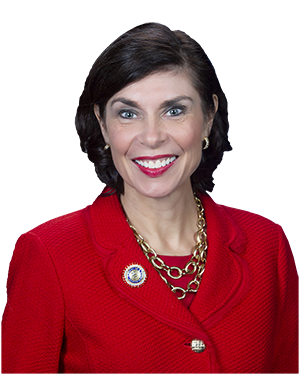 Senate Bill 441, sponsored by Senator Kristin Phillips-Hill (R-York), would designate the bridge carrying State Route 2087 over the East Branch Codorus Creek in York County as the Sgt. Christopher M. Wrinkle and Tosca Memorial Bridge. Sgt. Wrinkle served as a Special Operations Multi-Purpose K9 Handler for the 2nd Marine Special Operations Battalion, Marine Special Operations Company G and Marine Special Operations Team 8221 in Herat Province in Afghanistan. He was deployed to Afghanistan on July 1, 2011, and passed away while trying to rescue his service dog, Tosca, from a barracks fire later that month on July 31. Sgt. Wrinkle was raised in York County and graduated from Dallastown High School in 2001. Senate Bill 441 was approved by the committee and sent to the full Senate for consideration.